Just plop it down, press the suction in, and off you go. It's the Universal Drain Cover that works beautifully and effectively in Bathtub, Bathroom Sink, and Kitchen Sink Drains. 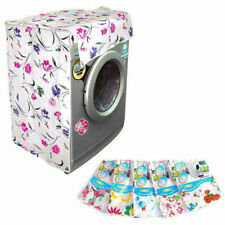 Simply place it over the drain hole and press down on the suction cup and you're done. Ottimo tubo flessibile stura lavandino e doccia per liberare le nostre tubature da capelli e altre impurità che possono bloccare il passaggio dell'acqua. Adatto per la doccia, lavandini intasati. Tubo flessibile sturalavandini. The Clean Flow is easy to use- just press the cup against yourself, aim the spout, and go! 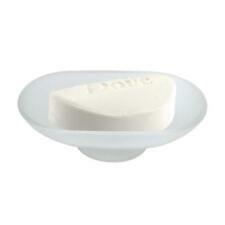 Since then, we have released several new products including the popular SinkShroom Drain Protector. IT's is made out of 100% premium silicone and can withstand the highest temperatures your faucets can dish out without warping or wearing out. UNISTOP RAPIDO SARATOGA Linea adesivi speciali. Stucco Rapido Bicomponente 65 gr. Infatti ripara in pochi minuti senza svuotare le tubazioni ed è. In conformità a quanto previsto dall’Art. 5 - comma 3 - lettera "d" - D. Lgs. Ausgekleidet mit blau weißem Polster, Kissen und Markise. für Kantensitzer oder das kleine Lieblingsplüschtier. Mini Deko Strandkorb 12,5 cm beige. Deko Strandkorb. Ein Mini Strandkorb zur Dekoration, als symbolisches Geschenk oder Sitzplatz. 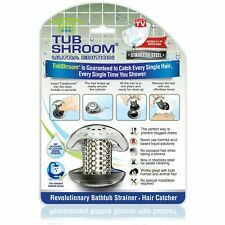 TubShroom Ultra is a stainless steel bathtub hair stopper that fits snug inside your shower tub drain, effortlessly gathering each and every hair that tries to make its way down your vulnerable drain. SinkShroom fits snug inside your bathroom sink drain, effortlessly gathering each and every hair that tries to make its way down your vulnerable drain. It's the hero you deserve in your bathroom. 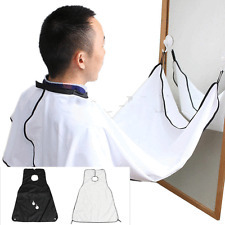 You can rest easy knowing that SinkShroom works great for all kinds of hair, human and pet alike. Nearly all SlipX Solutions hair catchers will suit a flat drain, including the following: Seal Tight Drain Protectors, Stop-A-Clog Hair Catchers, Water Drop Hair Catchers and Seal Tight Flat Drain Protectors. 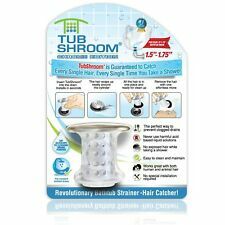 TubShroom® Ultra is a bathtub hair stopper that fits snug inside your shower tub drain, effortlessly gathering each and every hair that tries to make its way down your vulnerable drain. It's the hero you deserve in your bathroom. Die Vacuum-Loc Adapter bieten eine innovative Befestigungsalternative zum herkömmlichen Bohren, Schrauben und Dübeln. Mit dem Vacuum-Loc-Saugsystem können die hübschen Bad-Accessoires der Serien Classic und Premium ganz einfach an der Wand befestigt werden. Die Innovation in Sachen Befestigungstechnik heißt Vacuum-Loc! Das einzigartige System ermöglicht schnelles, einfaches und sicheres Anbringen der Accessoires auf allen luftundurchlässigen und unebenen Flächen. Das neuartige Vacuum-Loc System besteht aus einer Pumpe und Befestigungs-Locs, es muss nicht gebohrt oder geschraubt werden, auch Saugnäpfe sind nicht notwendig. Turbo Petholatus. "Gobelin Turban" genannt. auf dem letzten Bild sehen Sie mögliche Farbvarianten. kommt vor im tropischen Indopazifik. Ein wunderschönes Schneckegehäuse. Das Gehäuse ist dickwandig, schwer, glänzend und völlig glatt. VITE PROLUNGATA PER PILETTA BASKET. LAVELLO CUCINA. Ottone nichelato. Materiali e finitura. ACCESSORI PER FISSAGGIO CERNIERE. AD ESPANSIONE. Modell: Sieve – Design Überlaufblende (Überlaufabdeckung). Dadurch sind unsere Design Modelle von KNOPPO®. Das Modell „Sieve“ – der besondere Hingucker. Mit diesem geschmackvollen Akzent zeigen Sie Stil und verleihen Ihrem Wohlfühlort Klasse und strahlende Eleganz. La pulizia del Water è un aspetto molto importate per la corretta gestione della casa. E se questa tendenza si potesse capovolgere?. Divertentissimo e stravagante Scopino WC Fenicottero Rosa. – L’inserzione Comprende 1 Scopino WC Fenicottero Rosa. 2er Set Abfluss Stöpsel für Waschbecken, Spüle, Badewanne & Co.
– coppia tappo copriforo in ottone cromato;. Lunghezza della barra filettata: 65 mm. il prodotto deve essere pulito, privo di graffi, danni ammaccature, o abrasioni. – guarnizione in gomma;. Made in Italy. Keep water off your bathroom floor by closing the gap between your shower curtain and wall with SlipX Solutions® Shower Splash Guards. These convenient guards keep your curtain liner flush against the walls of your shower/tub to prevent leaks and splashes. TFA 60.3012. Material: silberner Kunststoff und Glas. Fahrradschuhe Sidi. Fahrradcomputer Ciclosport. Sportuhren und. Die feuchtigkeitsgeschützte Quartzuhr ist speziell für die Anwendung im Bad konstruiert. TIPO ESEDRA. PARACOLPI PER SEDILI WC. IDEAL STANDARD. Materiali e finitura. TIPO CLODIA. PARACOLPI PER SEDILI WC. 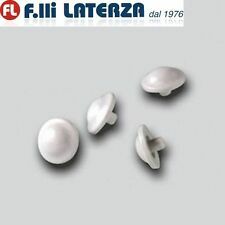 Plastica bianca. Materiali e finitura. Aqua LoveNotes??. Water simply beads up and rolls off Aqua LoveNotes. Pencils are secured with a suction cup pencil holder that provides convenient access whenever the need arises to write down an idea while you're in the shower.